Gnome Classic (Gnome 2) Session is available on Ubuntu 14.04 as Gnome fallback session. 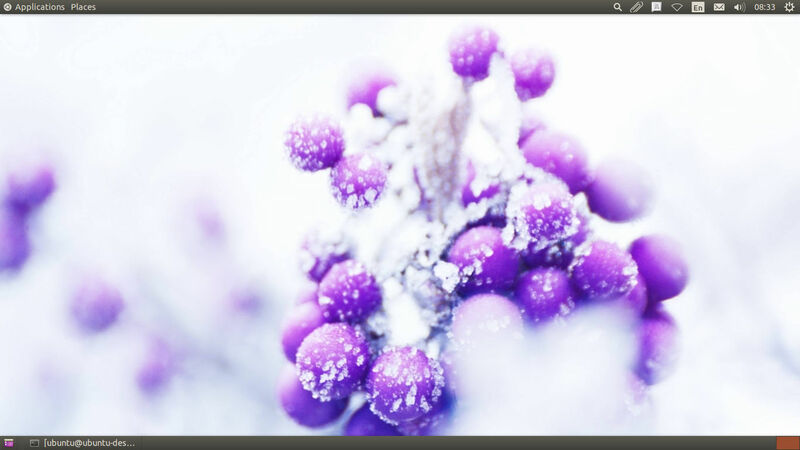 This is the classic two panel desktop with minimize bar and all. The classic session consists of two panels and Application menu, Places Menu etc. The gnome classic session help a lot of people to use Ubuntu easly. Because it is solid proven and familiar interface for gnome. It is fast and easy to use also for lot of ubuntu users. after completing the installation just log out and select the “GNOME Flashback (Compiz)” from the login menu. if you want to use Compiz or “GNOME Flashback (Metacity)” if you don’t need Compiz and want to use Metacity as the window manager. Change Window decorations in Compiz. If you want to change the window decorations or the border of the window then it can be done using compiz-settings-manager. It is usefull if the window decorations does not appear after login into the session. To install compiz-settings-manager just run the commands below. Then launch CompizConfig Settings Manager from the menu (Applications > System Tools > Preferences), enable the “Copy to texture” plugin, then log out and log back in. If the window decorations still don’t work, you can also try to disable all the plugins from CompizConfig Settings Manager and then re-enable them (remember not to enable the Ubuntu Unity Plugin!). Applets are usefull programmes to panel. To add applets to the panel just hold ALT key while right clicking the planel, Then select Add to Panel. If it does not work hold down Alt+Super Keys while right clicking the panel. Then add the “Indicator Applet Appmenu” to the top panel by pressing alt key right clicking the panel. Then add applet and select the Indicator Applet Appmenu. 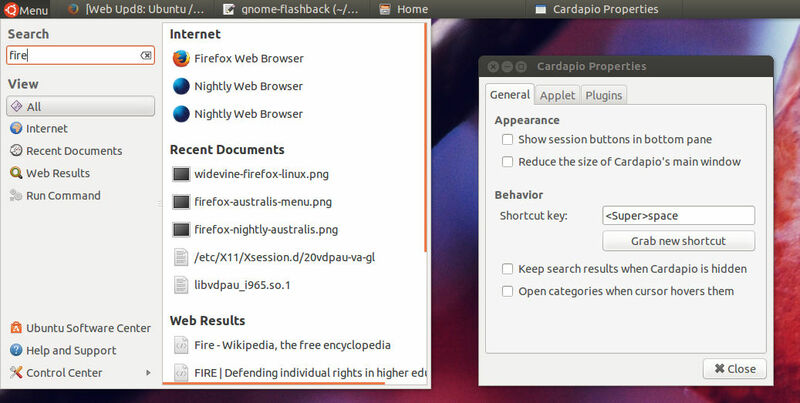 fixed “Applet” tab in Cardapio preferences not being displayed in GNOME Flashback session. After installation of Cardapio just add the applet to the panel. Then configure the menu as you like. Now you get a very nice Gnome Classic Session on Ubuntu 14.04. This is very much usefull for old users of Gnome. But the time is changing Gnome 3 is advancing fast pace.